SAN FRANCISCO, Feb. 12, 2019 (GLOBE NEWSWIRE) -- WhereTo today announced that its Board of Directors has appointed Chris Yeh as Chief Executive Officer and member of the Board of Directors. Yeh previously held the position of Senior Vice President, Product and Platform at Box, Inc. Ryan Wenger, WhereTo’s founder and first CEO, will remain on the Board as the company’s President and will focus on strategy, sales and product vision. WhereTo is a venture backed startup that inspires and empowers today&apos;s corporate travelers with an AI-based travel experience. Yeh joined Box in 2011 and led the company’s product and platform teams over a six and a half year period as the company became a major player in cloud content management. Yeh joined Box from Yahoo!, where he was the product lead for Yahoo! Groups, Delicious and other community products. He was also formerly the head of the Yahoo! Developer Network (YDN), the company's third-party developer program. Prior to Yahoo!, Yeh was VP of Marketing at Tacit Software, which was acquired by Oracle in 2008, VP of Product Management at Blue Martini Software and a principal at strategy consulting firm Mercer Management Consulting. Yeh holds an MBA from Wharton and a BS in Computer Science from the University of Michigan. WhereTo, Inc. (formerly called WhereFor, Inc.) is a San Francisco-based enterprise software company founded in 2016 by Ryan Wenger. WhereTo’s first product was built to serve the needs of one of the largest global companies in the world. Today, the company is focused on radically improving business travel. 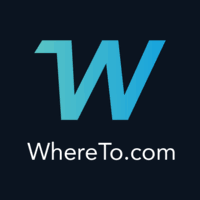 WhereTo has raised over $8M in venture capital from Emergence Capital, 500 Startups, celebrity Rob Dyrdek and Stage Venture Partners. More information on WhereTo can be found at https://whereto.com.